Maverick Marketplace is a unique incubator space designed for small start-up businesses looking for work sites in East Boston's Maverick Square. Currently, we have 7 retail spaces and 10 office spaces in our building at 154 Maverick Street. The goal of Maverick Marketplace is to assist small businesses in their quest of exponential growth. Ideally, we want our businesses to reach an amount of growth that would require them to open their own larger work space. By offering small business spaces to establish themselves, we are placing our partners on a path of advancement. We offer our businesses stress free one year leases and offer partnership opportunities where lease responsibilities are split between both parties. Leases are inclusive of heating, lighting, electricity, internet connection, waste disposal and city taxes. Maverick Marketplace helps small businesses build a strong retail environment in the heart of East Boston's diverse community. Our building, located at 154 Maverick St., is styled similarly to popular European “Arcade” architectural structures. This mini-mall formation is an efficient way for the people of Boston to take advantage of our various shops, manage their business needs, and relax in the Maverick Marketplace Café. All of the businesses here at Maverick Marketplace are newcomers to the East Boston area and its vibrantly diverse community. Our building hosts various business classes and clinics in conjunction with the Small Business Association, Interise and the Center for Women in Business in both English and Spanish. What Makes an Incubator Space Special? 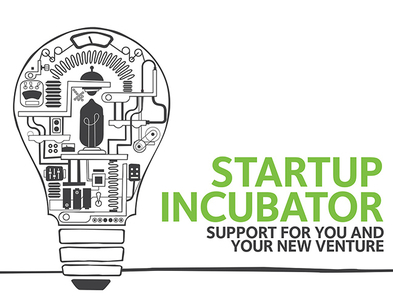 A Business Incubator is an organization designed to accelerate the growth and success of entrepreneurial companies through an array of business support, resources and services. This could include, but not limited to, physical space, coaching, mentoring and networking connections.